12 days to go until The Gloryville Effect campaign on indiegogo comes to an end. This will be JUST THE BEGINNING. With 12 days to go we have over £7,000 to invest in our next project to take moments of joy, support and sustainable practices to people that need it most. This is about people getting together, demonstrating love and reminding people on the margins they are not forgotten. We believe there is enough love to go all around the world and back. A staggering 341 souls have backed ‘The Gloryville Effect’ campaign so far. From £1 believers to £100 donators to all the perk buyers we are overwhelmed by your generosity. To mention just a few, 4 people have taken a 1 year passport for MGV. 19 people are going to be listening to their personal Basement Jaxx playlist this Jan. We’ve very nearly filled the paddock with 13 Unicorns… 14 if we count a little baby unicorn who is getting horned and joining us on the shoot! Bumbags are flying off the shelves and the Elf Xmas factory is open for orders! Also, a special thanks to our friends at The Dutch Master Party Boat for their generous gift of A BOAT. Next-level guys. Tom Morley, Holly Birkin, Zoe Nattress, Gabbi Cahane, Clare Leavy, dickkries, Michelle Carvill, Andrew Doughty, helenrosep, chloeisidora, James Turner, Oliver Bolton, vesta.gheibi, chandni.sawlani92, James Marks, liz bishop, Tina Urso, Caroline Picq, Roxy Deniz Ozalp, gillianmead311, Mark Williamson, patipat214, caz1979, Rebecca Collins, abbymagic, Jeni Howland, Benjy Kirk, Matthias Ogg, Sophie de Carvalho, jonathan, contactelise, Rosa Hirsch-Holland, Ella Wiggans, daiane_hmp1, Lisa Glasgow, annarebeccals, Alice Favre, Jaz Ali, Faye Brown, petra_metzger, Lorraine Keene, tarotmike, juanita, Rebecca Barton, Andreas Williams, Thomas Seidel, Helen Pickavance, Elena Theis, Michelle Barrios, butler_carly, katewhittaker22, Mo Hague, Peter Reynolds, Elloa Atkinson, phoebehivson, Amisam Zyl, Benjamin Gleitzman, Sue Sutherland, Will Ogboke, Reine Betts, Heather Stevens, harryjhammick07, Milly Palmer, Caz Coronel, arianeparas, rebecca.trevalyan, Eliot Brooks, vickieknight, Oliver Osgood, Daisy Hill, Kylie Frost, Eilidh Skatee Frakoff, Hyslop, Tess Mawle, Barbara Hubbell, Vanina Suavet, poppiecullen, leah, Caspar Addyman, rosannes, Daniela Castellanos, Samantha Pope, Ty Akingbola, Chipo Kureya, katematheou, Ziv Bachar, Mowgli Doo, LaDemoiselle, DeBrighton, Bibi Gratzer, Danielle Wilson, Lisa Brandon, Abby Millward, lauraknotty, Neil Connolly, Julie Morgan, Alice Carder, nicolelatchana, herminapopa, louis.collard1, Darren James, Agne Sinkeviciute, tagathe, Kelvin Woo, Paula Bedford, lucychappell, Melissa MW, rosa.devlin.holmes, life, maevie100, Samira Agamasu, Kristal Paramor, nancyjoycehunter, jeff engler, Jemil Kewfi, patricia, Anna Maloney, taylan M, Kass Man, kristinvandervoort, Danny Hearn, charlotte.kohlhas, odilia.sickinghe, jordanandrews19, Yoanne Rocheron, Andrea Perrottelli, Carolina Lima, byrneangela2003, Marina Hermann, Piia Pelimanni, dan.james.gee, ragingraven, Sarah-Jane Day, Raazik Gatrad, Anne-Laure Carruth, Jesus Capel Luna, lungagrabben, daihop69, perksthomas, bettybenacin, jameskatiewillson, Giulio Folino, Adam Woodhall, Francesca Caccioppoli, rasberryberet1980, Erica Sarah Carrubba, judithmcohen, Dani Reiff, slinkywizarduk, Jason Spoor, szederinda1988, Lily Ava, lovenetwork, shallcrossben, meg_r, rocio_27_1992, basilnally2, Jessie Brinton, Jenny Dragatsi, claudia, yoanne.rocheron, Annabelle Dent, Lisa Djembe, Edouard Vetter, kahliscott, Jemil Kewfi, Balbinder Dobe, judigalea, contactnicola_orr, Samira Agamasu, Asia Montanari, sophieawdry, amyassad, Karen Lozano, renaldazs, maryannparker, Maria Skovmand, rocka_chica_a, Guy Wimpory, Coco Pierandrei, A e Siddons, Natalia Choi, hildenbrandt, diemarie, Natalia Choi, twolegsbetter, veronika.hillebrand, wildsurf.now, tanya, victoriaascott43, khenemeti, sadie.fielder, nornex, Maria Tanjala, Gulie Ismail, hansen_lisa, Rebecca Barton, andrewtailorbosher, Maria Chi, sarahlott2015, nicolasouthin, Angela Roberts, Danny Saggers, ramat.tejani, davidbasak10, Matthew Parkinson, Mihai Badic, Gayle Berry, adizahtejani2010, floree.floree, Alessandro Palmieri, sophie, sophiestevens888, Kristina Tauchmannova, armishaw.monique, rshowe87, Nethelli Ordish, Rochelle Arrindell, matiss.legants, Abbey DuJour, Chris Nahhas, Cosmin Onea, Nisha Halai, Akiko Ogawa, Jacoba Bruneel, hannah_mccall, daniel, joe, Irena Adelman, Emily Reed, kate.king, Equador Zaha, nevilleshaw, Ruth Garner, tara, Giada Tf, lauradsg, Julien Davis, nadim3d, Kelly Fisher, Aaron Jones, matthewjwarshaw, Megan Davis, raphaelmeade, beezneez11, joeahoughton, Jon Slack, Mike Sygula, Sarah Vero, brionyhpaul, chubbycakeface, Susie Olczak, Ian Burke, Susie Olczak, tegan.e.m, graememcg, omni00, zelvis.zrn, daniel & last but not least a shout out to our full deck of 52 anonymous donators!! PHEW! Thank you so much from the bottom of our hearts. Let’s keep this movement going! TAG YOUR FRIENDS IN THE RIPPLES HERE – LET’S SEE HOW FAR WE CAN TAKE THIS. 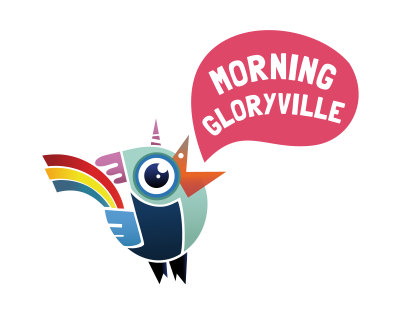 Share THE GLORYVILLE EFFECT with your friends and family.